I saw those wonderful felted artwork from Myriam Zorge on Pinterest, unfortunately I cannot find any website of her. If anybody can help ? 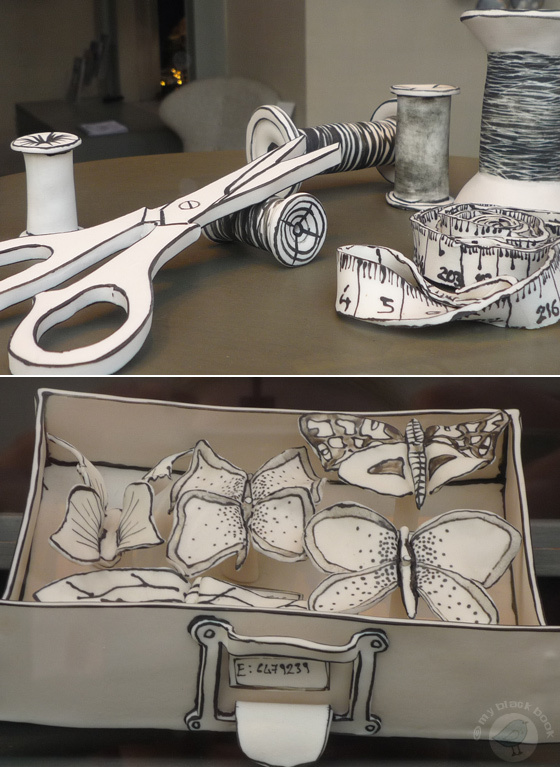 British artist Katharine Morling is working in the medium of ceramics. Each piece has been given layers of emotion and embedded with stories, which are open for interpretation in the viewer’s mind. When put together, the pieces combine to make a tableau staging the still lives of everyday objects. An original and surreal fairytale experience. 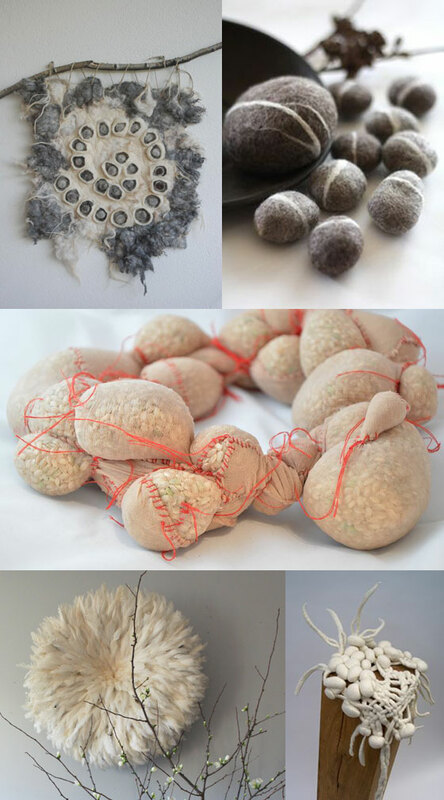 I have a soft spot for chunky knitting projects and love the works of textile designer and artist Dana Barnes who experiments with unspun natural fibers and innovative felting processes to create large textile art pieces. Inspired by nature, her work references crop fields, grazed hills and gnarled and knobby aged oak trees. Wonderful! Walking through the streets of London three weeks ago, I discovered these lovely creations from Katherine Morling in the shop window of Chelsea Textiles. The artist creates still lives of everyday objects in a kind of 3 dimensional drawings that are filled with stories. Greg Hatton creates furniture and landscrape features that blend art and nature with function. He designs and builds with reclaimed materials, found objects and introduced trees. Love his work! Isn’t this a great idea ? 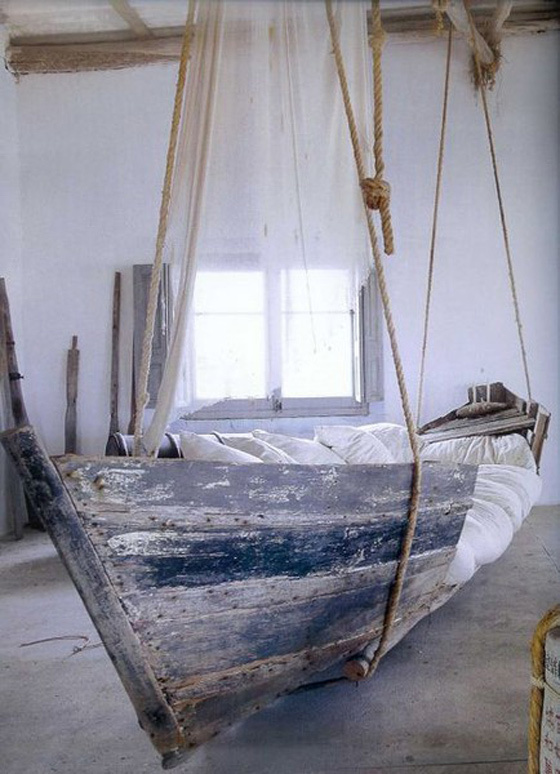 I would love to lie in this boat with a good book and a cup of tea. Happy coming weekend to you, my friends! Like you know white is one of my favorite colors and this morning I felt like creating a composition of little white objects according to my mood, it’s my wintery moodboard. 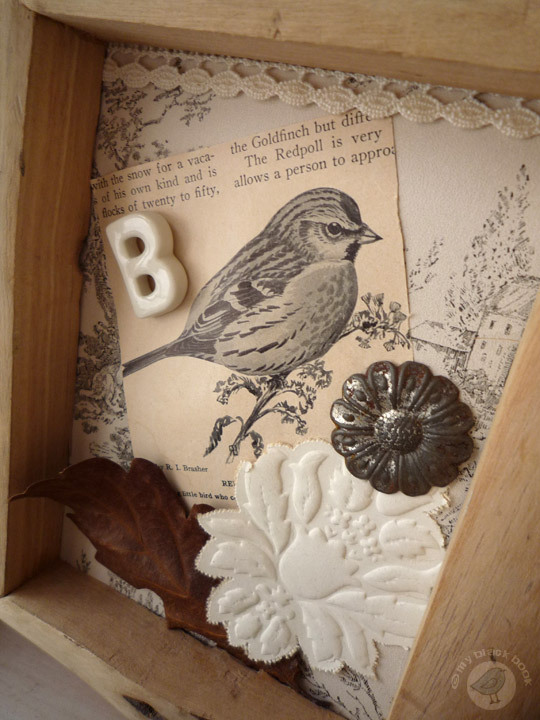 A few month ago, I created a little collage with some curiosities of my bits and bobs box: a bird illustration of an old book, a vintage metallic flower ornament from the Paul Bert flea market, a porcelain letter from Le Petit Atelier de Paris, a dried oak leaf from an autumnal walk in our woods and some vintage lace, the whole pasted on toile de Jouy wallpaper. 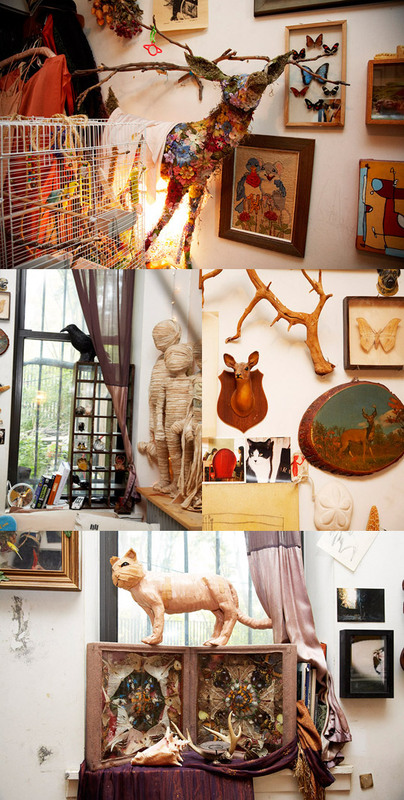 Have a look at the devilishly morbid universe of Meryl Smith.